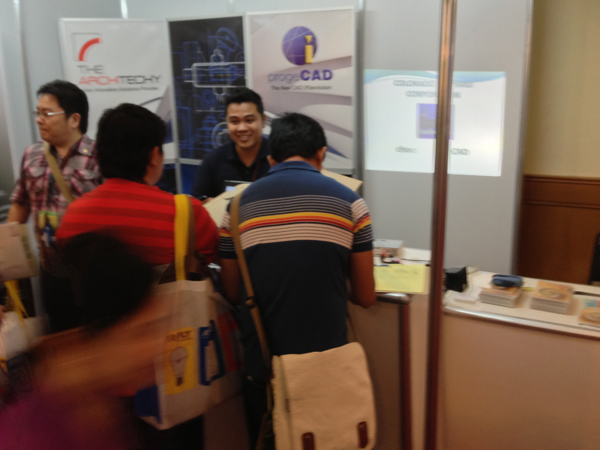 Our ProgeCAD Philippine partner has participated in this prominent event promoting our software together with “green topics”. 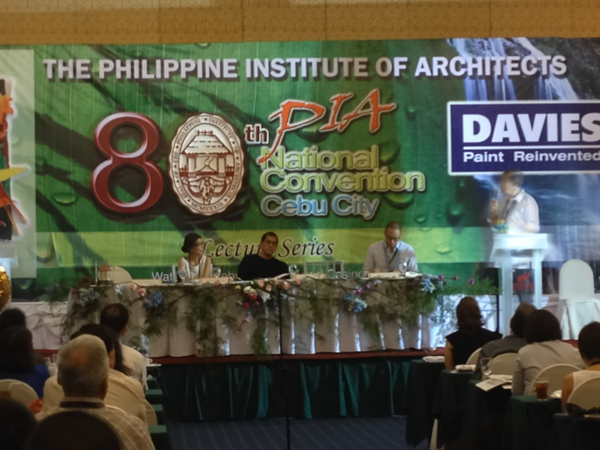 For three days last week Cebu City hosted the PIA Convention and around 500 architects visited the city on this occasion. 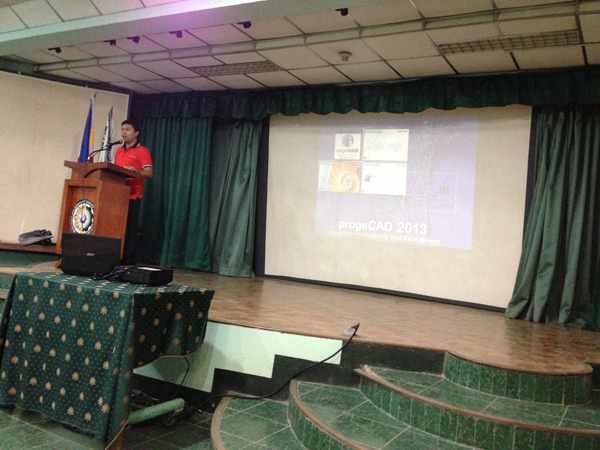 The meeting theme was “Touching Earth Touching lives” and it focused on ecological and social awareness in design. 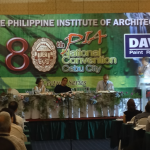 The Philippine Institute of Architects, the event organiser, grabbed this opportunity to spread the “green culture” to the participants. The convention has become a success thanks to the presence of three notable speakers: Kazuko Sejima, Kundoldibya Panitchpakdi and Doosdee Thaitakoo. They contributed to the event expressing their ideas on “Architecture is environment”, “Sustainable Housing in the Time of Climate Change” and “Balancing Conservation and Development in Historic Town Centers”. 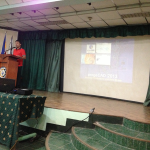 The convention could not certainly overlook the environmental issues the Philippines have been facing, there were a few lectures about sustainable houses and way of balancing conservation on historical places. 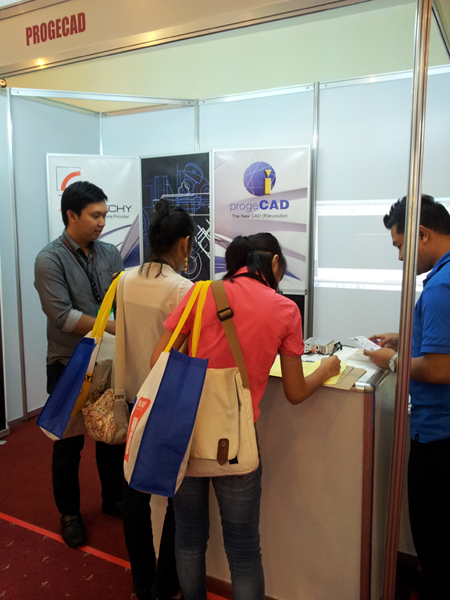 Dennis Mayo, director at the Architechy, was full of enthusiasm sharing his impression about the event: “The attendees were very warm and impressed with the progeCAD software”. 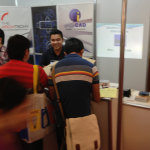 He also presented our software in one of the main assembly organised by PIA.ProgeCAD is always sensible to friendly environmental topics and the 80th Philippine Institute of Architects National Convention was the best occasion to increase its green attitude. 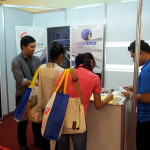 Soon our Philippine Distributor will be taking part in another exciting event, the UAP CONEX 2013 tradeshow taking place on the 18-20 April 2013, we will keep you updated on further initiatives! Designers, drafters, engineers, architects and other professionals using CAD in a specific industry will be able now to speed up the drawing process thanks to the millions of ready-to-use blocks placed at their disposal and ready to improve and facilitate the time-consuming routine work of drafting from scratch. Moreover, the company has heeded another customers’ request, this time concerning the ALE Blocks Manager. Instead of an awkward and difficult to handle ALE Manager, a new completely different iCADLib Module for blocks management is introduced in the new version. The iCADLib Module enables intuitive and seamless work when creating, saving and inserting blocks in your drawings. The new Blocks Manager contains over 20.000 2D/3D ready-to- use blocks for various industries such as Construction, Architectural, Mechanical, Electrical, Electronic and others. The new progeCAD 2011 version offers a plug-in for architects, Easy-Arch, an automated building tool implemented in the software to increase productivity in architectural and interior design and renovation. The Easy-Arch tool is designed to facilitate architectural and interior design providing parametric elements to quickly and easily create such building elements as walls, roofs, openings, stairs and many other functionalities. Finally, another enhancement designed to beef up the productivity of a CAD professional is the integration of the Traceparts content library in progeCAD 2011 Professional. This feature will become particularly interesting and useful for a Mechanical Designer and Engineer. However, there can be also found electric, electronic, agricultural, furniture and many other parts to satisfy professional needs of CAD professionals from a wide range of sectors. The Traceparts portal is one of the biggest parts libraries in the world offering over 100 million 2D and 3D CAD models. Now the new progeCAD 2011 Professional version provides personalized and exclusive access to the Traceparts library with unlimited and free download of any elements from the catalogues as well as different parts complying with the following international standards: ANSI, ASME, BS, JIS, DIN, ISO and UNI. The downloaded components are seamlessly integrated in the blocks libraries and can be easily and quickly inserted in all your drawings like all the other iCADLib blocks. One of the progeCAD’s most important innovation introduced with version 2011 is certainly the the iCARE Subscription services. The new iCARE Subscription maintenance and support program offers a variety of benefits to help customers get the most out of their progeCAD® software. It enables the Customer to cut down upgrades costs (they’ll receive the next progeCAD version at no charge, for instance) and receive comprehensive technical assistance via the web with the new help desk service through ticket, email, live chat and remote support. “In the new version of progeCAD we’ve focused our efforts on meeting the needs of the CAD professionals who come from various industries but use mainly the generic CAD platform in their projects. We are striving to make our CAD platform more flexible and intuitive for each professional who uses our CAD package. However, we’re still committed to our principal goal that is to comply with the market leader, adding at least a little touch of the AutoCAD-like look and feel and compatibility to our product.” commented Damiano Croci, progeCAD’s CEO. Current progeCAD users are reminded that they can upgrade to the latest version at a significant discount to the already-low price of the full version. progeCAD 2011 Professional proposes very flexible licensing: Single licenses with the possibility of an additional installation, Network NLM licenses with a Take-Away technology for remote work and Corporate licenses with unlimited installations at an unrivalled price. Microsoft® Windows Vista™ operating system! Microsoft Corporation while still maintaining compatibility with older versions. A ProgeSOFT fan sent to us this graph that he calls "The CAD galaxy". It’s an interesting view of ProgeSOFT inside the worldwide Computer Aided Design galaxy (ProgeSOFT is the one right in the middle).